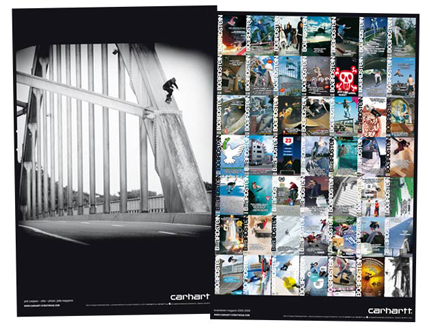 Boardstein had everything that you would not see in the other mags and dealt with all skate connected themes like history, music, graphics, spots, parkbuilding.. They also (and especially) put some extra energy into controversial themes. They got the 2 biggest german distributors and editors of the other magazines together to do a public “podium discussion” during the COS Cup in Hamburg, they did a special issue on Skateparks that you could take as a reference when dealing with the city councils and lately just did a girls special issue. 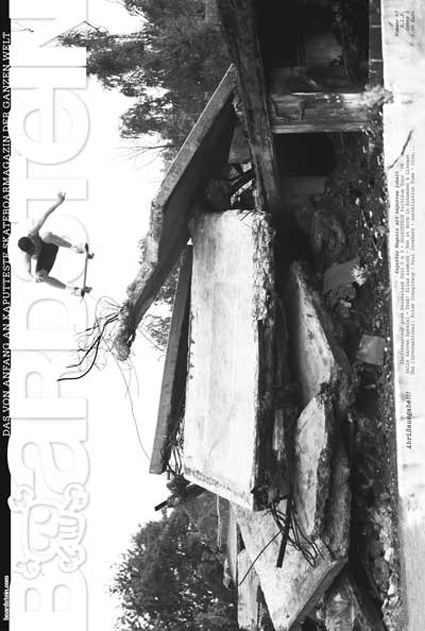 Apart from the solid content, some of the beloved monthly columns were for instance “Deutschlands Beschissenste Skateparks” (Germany’s worst skateparks), “Schöne Schaufenster” (nice shop windows), Schlimme Schilder (fucked up signs), “Kathedralen der Neuzeit” (cathedrals of modern times), “Geile Karren (sick cars), “Scharfe Schwestern” (hot girls), double-page-collages of fresh wounds or skate tats to just name a few, that guaranteed Boardstein a solid community of fans. Boardstein became very active in the german skateboard scene, organized own events and basically gave the whole broadband of people skateboarding a chance to speak their minds. PHIL ZWIJSEN - 1ST PLACE STREET AND 4TH PLACE BOWL!